Henn-na Hotel — which means “Strange Hotel” — opens on Fri­day in the south­west­ern Nagasa­ki pre­fec­ture with a staff of about ten robots. The 72-room hotel is built in the mid­dle of a theme park intend­ed to recre­ate a small Dutch town. The robots will check-in guests, car­ry bags, clean, store lug­gage, and answer guests’ ques­tions in Eng­lish or Japan­ese. The hotel’s man­age­ment would like you to know that these robots are not the kind that are going to kill you or take over the world. With big hotel chains con­sol­i­dat­ing — such as Mar­riott and Star­wood [link] — and with reports that old-style hotels are los­ing busi­ness [link], per­haps a Rob­by the Robot [link] recep­tion­ist or porter is the way to go. Yet, there’s a larg­er issue here and a real one for any­one con­tem­plat­ing what’s next for careers and organ­i­sa­tions. For exam­ple, Alex Hern (@alexhern) and Dan Mil­mo (@DanMilmo) just pub­lished “Think­ing machines: the skilled jobs that could be tak­en over by robots” in The Guardian [link]. Read also Con­ner Forrest’s (@ConnerForrest) report, “Chi­nese fac­to­ry replaces 90% of humans with robots, pro­duc­tion soars”, on TechRe­pub­lic [link]. I still recall the impres­sive HBR arti­cle from last Decem­ber by William H. Davi­d­ow and Michael S. Mal­one: “What Hap­pens to Soci­ety When Robots Replace Work­ers?” [link]. 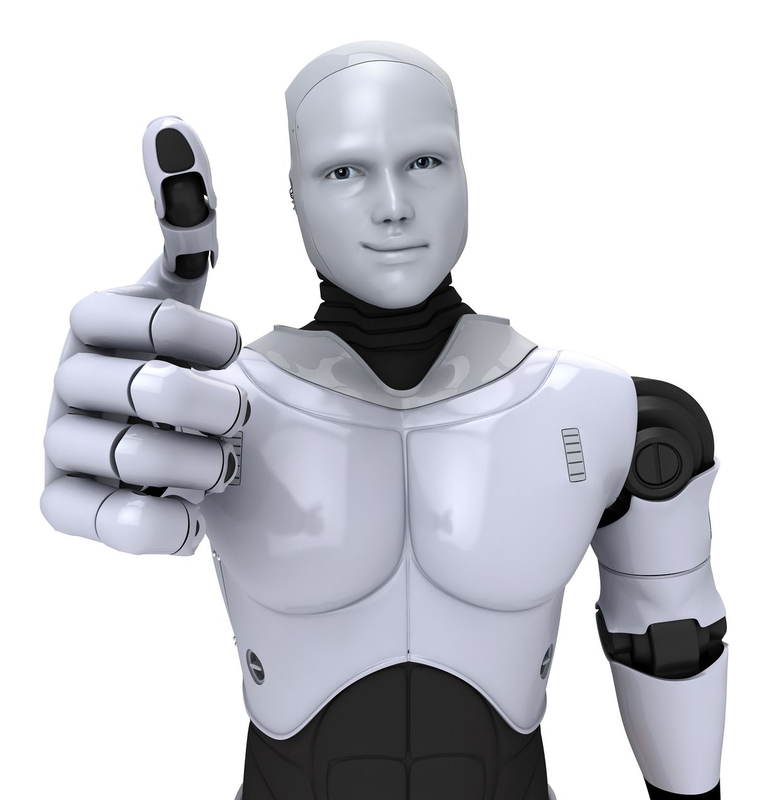 And, there are no few­er than 10 TED talks on how to live with robots [link]. To be fair, there’s anoth­er point of view here. You might want to check out Matthew Ygle­sias (@mattyglesias) and his take on “The automa­tion myth: Robots aren’t tak­ing your jobs — and that’s the prob­lem” on Vox [link]. Says Ygle­sias: “Rather than an accel­er­at­ing pace of automa­tion, we’ve actu­al­ly been liv­ing through a slow­down in the pace of pro­duc­tiv­i­ty growth. And that slow­down is a huge prob­lem. Unless it revers­es, we’ll be wak­ing up soon to find our­selves in a depress­ing world of longer work­ing years, unman­age­able health-care needs, high­er tax­es, and a pub­lic sec­tor starved of need­ed infra­struc­ture resources. I see the trend toward more robot­ics in soci­ety as irre­versible and its impact grow­ing steadi­ly. For me, the inter­sec­tion of robot­ics and nextsens­ing is a major one — and excit­ing, to boot. Inde­pen­dent of your feel­ings and atti­tude about robots (espe­cial­ly in your hotel room), you must admire the edgy mind­set behind the exper­i­ment. Talk about think­ing dif­fer­ent­ly, hav­ing aspi­ra­tions for the future and chal­leng­ing the sta­tus quo! This seems to check all the box­es to qual­i­fy as a nextsens­ing alert. But is it real­ly that sim­ple? I don’t think it is. On ser­vice-relat­ed indus­tries: Ser­vice is an empa­thy busi­ness at its core. It’s about reach­ing an under­stand­ing between two (or more) human beings on what is need­ed or desired, and then deliv­er­ing on it. This is why it is often called a “brand promise” as it is an empa­thet­ic con­tract between two par­ties. What­ev­er the future holds for Mar­riott and Star­wood, both brands will have to ful­fil their lega­cy rep­u­ta­tions, with or with­out robots. This begs the ques­tion about the under­ly­ing social and emo­tion­al val­ue of ser­vices like Airbnb [link]. While it is true that stay­ing in oth­er people’s homes while they are away opens an entire­ly new land­scape of lodg­ing options, is there not a human-to-human con­nec­tion that is impor­tant to the lodging/value equa­tion? If so, how do robots fit in? On trans­porta­tion-relat­ed indus­tries: Are we ready for robot­ic taxis? If you are like me, you often dis­cov­er hid­den secrets about a new city from the taxi dri­ver on your way to your, um, hotel. How would this expe­ri­ence be dif­fer­ent in a dri­ver­less taxi pow­ered by a robot­ic sys­tem, from reser­va­tions to dri­vers? Cer­tain­ly the tech­nol­o­gy would allow you to “speak” to the car and get use­ful infor­ma­tion in sec­onds. But would you real­ly be con­vers­ing? And, more impor­tant­ly, would you tru­ly be get­ting insights into this new place com­pared to what you might learn from a cab­by who has dri­ven the streets for decades and knows all the local best places to see or dine? On pro­duc­tion-relat­ed indus­tries: Sean Gallagher’s (@thepacketrat) recent post on arstech­ni­ca [link] dis­cussed the trend toward com­put­ers talk­ing to com­put­ers, instruct­ing machines on how to per­form. As Gal­lagher says via the title of his arti­cle: The future is the Inter­net of Things — deal with it. For any pro­duc­tion facil­i­ty that has strug­gled with imple­ment­ing smooth­ly oper­at­ing glob­al teams, weave in com­put­ers and robots going for­ward and the mix will sure­ly need some new “team” man­age­ment skills hereto­fore not thought about. 1. A robot may not injure a human being or, through inac­tion, allow a human being to come to harm. 2. A robot must obey orders giv­en it by human beings except where such orders would con­flict with the First Law. 3. A robot must pro­tect its own exis­tence as long as such pro­tec­tion does not con­flict with the First or Sec­ond Law. Accord­ing to George Dvorsky (@dvorsky), Asi­mov lat­er added a pre-emi­nent law [link]: 0. A robot may not harm human­i­ty, or, by inac­tion, allow human­i­ty to come to harm. I don’t believe Asi­mov (a genius to be sure) ever thought about robots han­dling room ser­vice from start to fin­ish. That’s going to have to be our job.